If there is one specialisation in MBA that requires you to think about both the business and the employees, it’s Human Resource Management. MBA/PGDM in HRM is a 2 years specialised course designed to develop professionals who would help their organisations in generating revenues and profits, through optimising the employees’ performance. The students study about various functions of the HR department in an organisation essential for its smooth working. These functions include performance management, employee relations, industrial relations and labour laws, compensation and benefits, employee engagement, talent management, talent acquisition, learning and development, organisation development, etc. The course is designed to cater to the needs of various industries requiring professionals with specialised knowledge of HR and how it strategically helps organisations in achieving its goals. Strategic thinking, interpersonal skills, negotiation skills, conflict management and problem solving skills, analytical skills, are some of the skills that a student learns while pursuing his/her specialisation in HRM. Being one of the most important department in any organisation, the future scope in this field is ever increasing with the need of experts in niche functions. After pursuing masters in HRM, the students can choose to work as a general HR or work in a specific function of HR in any organisation. While starting a career as a general HR will help students in building their career in their choice of function, starting career in a specialised function provides the opportunity of becoming a subject matter expert in that function in a small span of time. Some of the roles that are given to students by the organisations include Associate Consultant/ Consultant, ER Manager, HR Manager, Talent Acquisition Lead, HRBP, etc. 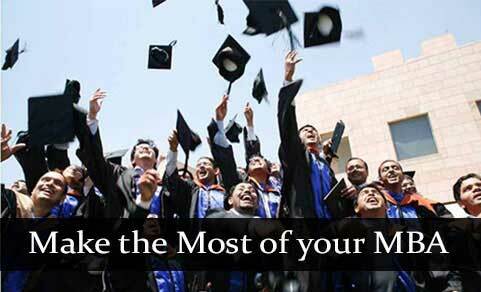 Pursue the course from only the top B-schools known for their curriculum, faculties and placements. To make your work easy, we have listed down some of the top B-schools that offer MBA/PGDM in Human Resource Management. *This table should be in no way acknowledged as a rank wise list of B-schools. While these are some of the top B-schools offering specialised MBA/PGDM programs, there are other B-schools as well whose specialisation in HR holds equal value. We have also made a list of such B-schools. All the best for your endeavour!! If you are also interested in pursuing specialisation in Operations Management, make sure you check out our article MBA in Operations Management: Top B-Schools. 5 CAT Traps: ENGINEERS Beware!